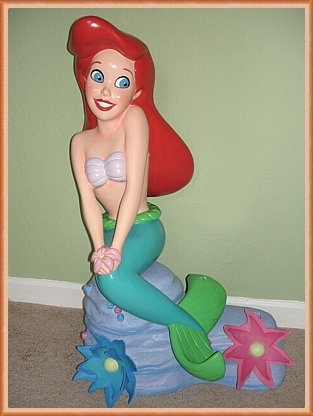 Our most prized item at the moment is this beautiful Ariel Display from The Disney Store. I think almost everybody has seen these gorgeous display figurines at some of the Disney Stores. 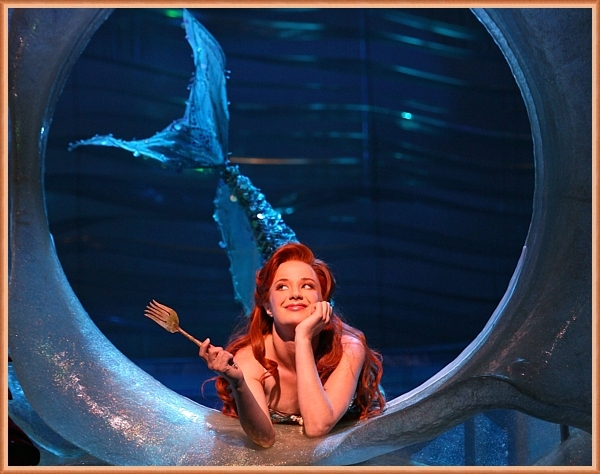 We were so lucky to able to get hold of Ariel and her base. I've been working on the new screenshots from the Platinum Edition DVD set. It's going to be over 1000 great screenshots! I'll keep the older screenshots too in case anyone wants to see the different between the '97 DVD release and the '06 PE DVD release. I'll also be adding a few screenshots from the TLM series (yes, from each episode, yay!). It will take some time to have them all up since there are more than 30 episodes! A few months ago I had the idea of adding a video section with some footage of Ariel and her friends. I shot some footage from the Voyage of TLM at MGM, as well as the night parade. It will be small at the beginning, but I hope we can add more videos later on. Aloha!! It's being a long, long time since the last update. We've been so busy moving to a new place and rearranging the collection that Mylittlemermaid.com had its 1st birthday and we didn't even mention anything :(. Anyway, HAPPY BELATED BIRTHDAY! We would like to thank everyone who has visited us this last year; we never thought that we would have so many hits on this site. We are really proud of MLM and we'll keep investing time and energy adding more TLM stuff. So come back and visit us often! Quick Update: I just added the new screencaps from "The Little Mermaid" Platinum Edition right here. I'm also starting to add the Series screencaps from each episode. Sea ya soon! Series Update: Screencaps for Whale of a Tale, The Great Sebastian, Stormy , Double Bubble, Urchin, Beached, Eel-Ectric City,Calliope Dreams, Against the Tide, Ariel's Treasures, and A Little Evil are up! I'll be adding the other episodes soon. Series Update: Screencaps for Red, Island of Fear, Heroes, The Beast Within, Save the Whale, and Land of the Dinosaurs are up. I also fixed the guestbook and it should be working now.